Jesus College is one of the constituent colleges of the University of Oxford in England. Its alumni include politicians, lawyers, bishops, poets, and academics. Some went on to become fellows of the college; 14 students later became principal of the college. It was founded in 1571 by Queen Elizabeth I, at the request of a Welsh clergyman, Hugh Price, who was Treasurer of St David's Cathedral in Pembrokeshire. The college still has strong links with Wales, and about 15% of students are Welsh. There are 340 undergraduates and 190 students carrying out postgraduate studies. Old members of Jesus College are sometimes known as "Jesubites". From the world of politics, the college's alumni include two Prime Ministers (Harold Wilson of Britain and Norman Manley of Jamaica), one Speaker of the House of Commons (Sir William Williams), a co-founder of Plaid Cymru (D. J. Williams) and a co-founder of the African National Congress (Pixley ka Isaka Seme). Members of Parliament from the three main political parties in the United Kingdom have attended the college, as have politicians from Australia (Neal Blewett), New Zealand (Harold Rushworth), Sri Lanka (Lalith Athulathmudali) and the United States (Heather Wilson). The list of lawyers include one Lord Chancellor (Lord Sankey) and one Law Lord (Lord du Parcq). The list of clergy includes three Archbishops of Wales (Alfred George Edwards, Glyn Simon and Gwilym Williams). Celticists associated with the college include Sir John Morris-Jones, Sir Thomas (T. H.) Parry-Williams and William John Gruffydd, whilst the list of historians includes the college's first graduate, David Powel, who published the first printed history of Wales in 1584, and the Victorian historian John Richard Green. The list includes a recipient of the Victoria Cross (Angus Buchanan) and T. E. Lawrence, better known as "Lawrence of Arabia." Record-breaking quadriplegic solo sailor Hilary Lister was also a student here, whilst from the field of arts and entertainment there are names such as Magnus Magnusson, presenter of Mastermind, the National Poet of Wales Gwyn Thomas and television weather presenters Kirsty McCabe and Siân Lloyd. It should be noted here that, because women were barred from studying at Jesus College for over four centuries (from its foundation until 1974), this list of alumni consists almost entirely of men. The sub-headings are given as a general guide and some names might fit under more than one category.
? – Year unknown; an approximate year is used for table-sorting purposes. The subject studied and the degree classification are included, where known. Until the early 19th century, undergraduates read for a Bachelor of Arts degree that included study of Latin and Greek texts, mathematics, geometry, philosophy and theology. Individual subjects at undergraduate level were only introduced later: for example, Mathematics (1805), Natural Science (1850), Jurisprudence (1851, although it had been available before this to students who obtained special permission), Modern History (1851) and Theology (1871). Geography and Modern Languages were introduced in the 20th century. Music had been available as a specialist subject before these changes; medicine was studied as a post-graduate subject. 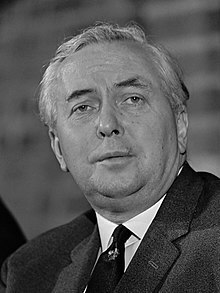 Harold Wilson studied at Jesus College from 1934 to 1937, and was later the Prime Minister of the United Kingdom during two periods (from October 1964 to June 1970, and from March 1974 to April 1976). More than 30 other Members of Parliament have been educated at the college, from Sir John Salusbury who was elected as MP for Denbighshire in 1601 to Theresa Villiers who was elected as MP for Chipping Barnet in 2005. Sir Leoline Jenkins, who became a fellow and later the principal of the college, was Secretary of State for the Northern Department from 1680 to 1681 and Secretary of State for the Southern Department from 1681 to 1685. Sir William Williams served as Speaker of the House of Commons from 1680 to 1685 and as Solicitor General for England and Wales from 1687 to 1689. Evan Cotton was MP for Finsbury East before holding the position of President of the Bengal Legislative Council from 1922 to 1925. Several Welsh politicians have been educated at the college, some representing constituencies in Wales (such as Sir John Wogan, representing Pembrokeshire at various times between 1614 and 1644) and others working outside Parliament, such as D. J. Williams (a co-founder of the Welsh nationalist party Plaid Cymru). Other students at the college have held political offices in other countries. Norman Manley was Chief Minister of Jamaica from 1955 to 1962. P. T. Rajan was Chief Minister of Madras Presidency between April and August 1936. Heather Wilson was the first Old Member of the college to sit in the United States House of Representatives, where she represented New Mexico's 1st congressional district from 1998 to 2009. The Australian politician Neal Blewett was a member of the Australian House of Representatives from 1977 to 1994, a Government Minister from 1983 to 1994 and High Commissioner to the UK from 1994 to 1998. Pixley ka Isaka Seme, who studied for a BCL between 1906 and 1909, was one of the founder members of the African National Congress. Civil servants and diplomats educated at Jesus College include Sir Edgar Vaughan (British Ambassador to Colombia from 1964 to 1966), Gunasena de Soyza (High Commissioner for Ceylon in Britain from 1960 to 1961), Sir Frederick Atkinson (Chief Economic Adviser to HM Treasury from 1977 to 1979), Sir Thomas Williams Phillips (Permanent Secretary of the Ministry of Labour from 1935 to 1944 and Chairman of the War Damage Commission from 1949 to 1959), Eryl Davies (a former Chief Inspector of Schools for Wales), and Christopher Lintrup Paus (a long-time British diplomat in Oslo). Several prominent judges and lawyers were educated at the college. Viscount Sankey, who was Lord Chancellor from 1929 to 1935, studied for a BA in History and a BCL between 1885 and 1891. Lord du Parcq was appointed as a Lord of Appeal in Ordinary in 1946. Sir Richard Richards became Lord Chief Baron of the Exchequer in 1817. The Scottish MP and lawyer Lord Murray was appointed a Senator of the College of Justice in 1979. The solicitor Sir David Lewis was Lord Mayor of the City of London from 2007 to 2008. Other lawyers who studied at the college include James Chadwin QC, who defended the Yorkshire Ripper, and Sir Arthur James, who prosecuted the Great Train Robbers and later became a judge of the Court of Appeal. Academic lawyers include J Duncan M Derrett, Professor of Oriental Laws in the University of London from 1965 to 1982, and Alfred Hazel, Reader in English Law at All Souls College, Oxford. Three Archbishops of Wales have studied at Jesus College. Alfred George Edwards, the first archbishop of the Church in Wales after its disestablishment, read Literae Humaniores from 1871 to 1874, and was archbishop from 1920 to 1934. Glyn Simon, who was a student from 1922 to 1926, was Archbishop of Wales from 1968 to 1971. He was succeeded by Gwilym Owen Williams, who was archbishop from 1971 to 1982. Other bishops to have held office in Wales include Francis Davies, Roy Davies, John Harris, and Morgan Owen (who were all Bishops of Llandaff), Humphrey Humphreys, Daniel Lewis Lloyd and Humphrey Lloyd (who were Bishops of Bangor), William Lloyd and John Wynne (who were Bishops of St Asaph), and John Owen and William Thomas (who were Bishops of St David's). William Thomas Havard was a Welsh rugby international before becoming Bishop of St Asaph, then Bishop of St David's. Former students of the college to have become bishops outside England and Wales include Rowland Ellis (Bishop of Aberdeen and Orkney from 1906 to 1911), Richard Meredith (Bishop of Leighlin from 1579 to 1597), and John Rider (Bishop of Killaloe 1612 to 1632). In the twentieth century, bishops to have studied at the college include Kenneth Cragg (assistant Bishop of Jerusalem from 1970 to 1973), John Dickinson (assistant Bishop of Melanesia from 1931 to 1937), Gordon Roe (Bishop of Huntingdon from 1980 to 1997), Alwyn Williams (Bishop of Durham from 1939 to 1952 and Bishop of Winchester from 1952 to 1961), and Clifford Woodward (Bishop of Bristol from 1933 to 1946 and Bishop of Gloucester from 1946 to 1953). Several former students have been appointed as cathedral deans; many others became parish priests in Wales and elsewhere in the Anglican church, some also finding time for other activities such as writing poetry or pursuing antiquarian interests. At least five have been Dean of Bangor – Henry Thomas Edwards, Henry Lewis James, Evan Lewis, John Pryce and James Vincent Vincent. Frederick Llewelyn Hughes was Dean of Ripon from 1951 to 1967, Alexander Wedderspoon was Dean of Guildford from 1987 to 2001, and Wesley Carr was Dean of Westminster Abbey from 1997 to 2006. Edmund Meyrick, who studied at the college between 1656 and 1659, became Treasurer of St David's Cathedral; his bequest founded the college's Meyrick scholarships for students from North Wales, and scholarships from this fund are still awarded. The lexicographer John Davies of Mallwyd, who translated the Bible into Welsh, studied at the college. In the mid-19th century, some Anglican priests were influenced by John Henry Newman and converted to Roman Catholicism, including David Lewis; Edmund Ffoulkes converted too, but later went back to Anglicanism, becoming vicar of the University Church of St Mary the Virgin in Oxford. John David Jenkins, who was Canon of Pietermaritzburg for a time, was later nicknamed the "Rail men's Apostle" for his ministry to railway workers in Oxford. David Walter Thomas, a priest in Gwynedd, was instrumental in the foundation of a Welsh church in the Welsh settlement in Argentina. Some students have become ministers in other denominations of Christianity. Methodists include David Charles and Christopher Bassett; Baptists include Gwilym Davies (the first person to broadcast on the radio in Welsh, in 1923); Welsh Presbyterians include William David Davies and Gwilym Edwards; Unitarians include John Islan Jones; and Catholics include John Hugh Jones and the Benedictine monk and poet Sylvester Houédard. Mathematicians to have studied at Jesus College include Nigel Hitchin (Savilian Professor of Geometry at Oxford since 1997), the Canadian Jonathan Borwein and Jim Mauldon (who taught at Oxford before moving to the United States to teach at Amherst College, Massachusetts). David E. Evans is Professor of Mathematics at Cardiff University, and H. W. Lloyd Tanner was Professor of Mathematics and Astronomy at one of its predecessor institutions, the University College of South Wales and Monmouthshire. Several noted individuals from biology, botany and zoology were educated at the college, including the Welsh clergyman Hugh Davies (whose Welsh Botanology of 1813 cross-referenced the Welsh-language and the scientific names of plants), Edward Bagnall Poulton (Professor of Zoology at Oxford) and James Brontë Gatenby (Professor of Zoology at Trinity College, Dublin). Frank Greenaway was Keeper of the Department of Chemistry at the Science Museum in London for over 20 years, and the physicist Chris Rapley was appointed director of the museum in 2007. Other physicists who are Old Members of the college include Michael Woolfson (a former Professor of Physics at the University of York) and Edward Hinds (whose work on ultra-cold matter won him the Rumford Medal of the Royal Society in 2008). Edwin Stevens, who studied Natural Science at the college, went on to design the world's first wearable hearing aid, and Sir Graham Sutton became director-general of the Meteorological Office. ^ Orringe, Natalie (2005). "Jesubites go forth!" (PDF). The Jesus College Newsletter. Jesus College, Oxford: 2–3. Archived from the original (PDF) on 26 March 2009. Retrieved 28 March 2007. ^ "Women at Oxford | University of Oxford". www.ox.ac.uk. Retrieved 2018-05-04. ^ Goodman, Geoffrey (25 May 1995). "Harold Wilson: Leading Labour beyond pipe dreams (Obituary)". The Guardian. Retrieved 14 July 2007. ^ Walsh, John; 1995/1996. "Old Members Notes and News". Jesus College Record: 76–77. ^ Roberts, Enid Pierce. "Salusbury, Salisbury, Salesbury family, of Lleweni and Bachygraig". WBO. Retrieved 9 November 2008. ^ a b c d e f g h i j k l m n o p q r Who's Who, sub nom. ^ De'Ath, John (1999). "Old Members' News". Jesus College Record: 74. ^ Marshall, Alan. "Jenkins, Sir Leoline (1625–1685)". ODNB. Retrieved 14 July 2007. ^ Halliday, Paul D. "Williams, Sir William, first baronet (1633/4–1700)". ODNB. Retrieved 23 July 2007. ^ "Sir Evan Cotton". The Times. 8 March 1939. p. 18. ^ a b c d e f g h i j k l m n o p q r s t u v w Honours, sub nom. ^ Charles, Bertie George. "Wogan families, Pembrokeshire". WBO. Retrieved 10 September 2008. ^ Edwards, Hywel Teifi. "Williams, David John (1865–1970), writer". WBO. Retrieved 15 July 2007. ^ Rajan, P. T.; K. Paramasivam (1973). Sir P. T. Rajan's Eighty Second Birthday Souvenir, 1973. Justice Party. p. 237. ^ Oxford University Calendar. University of Oxford. 1927. p. 802. ^ a b De'Ath, John; 1998/1999. "Old Members' News". Jesus College Record: 55–58. ^ a b c d e f De'Ath, John; 1998/1999. "Fellows' News". Jesus College Record: 12. ^ Couzens, Tim. "Discovering Seme". African National Congress. Archived from the original on 25 June 2007. Retrieved 14 July 2007. ^ a b c d e f g h i j k l m n o p q r s t u v w x y z aa Who Was Who, sub nom. ^ "Mr. Guinasena de Soyza – High Commissioner for Ceylon". The Times. 13 October 1961. p. 15. ^ Price, David. "Phillips, Sir Thomas Williams (1883–1966)". ODNB. Retrieved 30 September 2008. ^ "Mr E. O. Davies". The Times. 3 June 1982. p. 14. ^ "Paus, Christopher Lintrup, C.B.E.". The Foreign Office List and Diplomatic and Consular Year Book. London: Foreign Office. 1963. p. 462. ^ Stevens, Robert. "Sankey, John, Viscount Sankey (1866–1948)". ODNB. Retrieved 14 July 2007. ^ Rees, D. A.; 1993/1994. "The Channel Island Fellowships". Jesus College Record: 65. ^ Barker, G. F. R.; Polden, Patrick. "Richards, Sir Richard (1752–1823)". ODNB. Retrieved 27 May 2008. ^ a b c d De'Ath, John (1999). "Fellows' News". Jesus College Record: 13. ^ Krebs, Lord (2007). "The Principal's Report". Jesus College Record: 11. ^ "Obituaries: James Chadwin". The Times. 24 January 2006. Retrieved 2 February 2008. ^ "Obituary – Lord Justice James, Outstanding advocate and hard-working judge". The Times. 15 May 1976. p. 16. ^ a b "Old Members: News and Notes". Jesus College Record: 53–54. 1992. ^ "Davies, The Rt Revd Roy Thomas". Crockford's Clerical Directory. Church House Publishing. October 2008. Retrieved 22 November 2008. (Subscription required (help)). ^ a b Ellis, Thomas Iorwerth. "Lloyd, Daniel Lewis (1843–1899)". WBO. Retrieved 29 July 2008. ^ a b Ellis, Thomas Iorwerth. "Owen, John (1854–1926), bishop". WBO. Retrieved 16 July 2007. ^ a b Ellis, Mary Gwendoline. "Havard, William Thomas (1889–1956), bishop". WBO. Retrieved 7 April 2008. ^ "Old Members' Notes and News". Jesus College Record. 1993/1994: 74. ^ Townley, Peter (22 July 1999). "Obituary: The Right Rev Gordon Roe". The Independent. Retrieved 23 February 2012. ^ "The Very Reverend Dr Wesley Carr, Dean of Westminster Abbey". Westminster Abbey. 31 August 2005. Archived from the original on 27 September 2007. Retrieved 16 July 2007. ^ a b Roberts, Gomer Morgan. "Davies, William David [P.] (1897–1969), minister (Presb. ), college tutor and author". WBO. Retrieved 1 November 2008. ^ a b "Old Members News and Notes". Jesus College Record. 1992/1993: 47. ^ McGurk, J. J. N. "Bagenal, Sir Henry (c.1556–1598)". ODNB. Retrieved 17 August 2007. ^ Richards, Thomas. "Jones, Jenkin (1623–? ), captain in the Parliamentary army and Puritan preacher". WBO. Retrieved 22 October 2008. ^ Allen, Richard C. "Kemeys family (per. c.1570–1747)". ODNB. Retrieved 14 October 2008. ^ "Lawrence of Arabia". Jesus College, Oxford. Archived from the original on 12 August 2007. Retrieved 14 July 2007. ^ "Outline chronology". The T. E. Lawrence Society. Archived from the original on 15 August 2007. Retrieved 14 July 2007. ^ Carafano, James Jay. "Lloyd, Henry Humphrey Evans (c.1718–1783)". ODNB. Retrieved 5 August 2007. ^ "Old Members' Obituaries: Professor Jim Mauldon MC (a reproduction of an obituary originally published in The Times in 2002)". Jesus College Record: 94. 2002. ^ Dodd, Arthur Herbert. "Morgan family, of Llantarnam, Monmouthshire". WBO. Retrieved 6 November 2008. ^ Jenkins, Robert Thomas. "Morgan, Thomas (1769–1851), navy chaplain". WBO. Retrieved 4 November 2008. ^ a b c d e f g h i Honours Supplement 1950, sub nom. ^ "Obituary: Maj-Gen Anton Muttukumaru". The Daily Telegraph. 22 November 2001. Retrieved 11 May 2008. ^ Muttukumaru, Anton; 1992/1993. "Some recollections of Oxford by Major-General Anton Muttukumaru (1928–1931)". Jesus College Record: 30. ^ "Appointments". Jesus College Record: 103. 2001. ^ "Rear Admiral Chris Parry CBE". International Institute for Strategic Studies. Retrieved 18 October 2008. ^ Pilkington, Anthony; 1996/1997. "College News and Notes". Jesus College Record: 7. ^ a b c d e f g h i j k l m n o p q r Honours Supplement 1965, sub nom. ^ "Honours and Awards". Jesus College Record: 58. 1992. ^ Lewis, C. W.; Taylor, Clare L. "Gruffydd, William John (1881–1954)". ODNB. Retrieved 14 July 2007. ^ a b c d e f g h i j k l m n o p q r s t u Honours Supplement 1920, sub nom. ^ Campbell, J. L.; Matthew, H. C. G. (2004). "Henderson, George (1866–1912)". ODNB. Retrieved 27 January 2009. ^ "Deaths". Jesus College Record. 1992/1993: 66. ^ Lloyd, David Myrddin. "Lewis, Henry (1889–1968), Welsh and Celtic scholar, university professor". WBO. Retrieved 19 January 2009. ^ Parry, Thomas. "Lloyd-Jones, John (1885–1956), scholar and poet". WBO. Retrieved 12 November 2008. ^ Lewis, Henry. "Powel, Thomas (1845–1922), Celtic scholar". WBO. Retrieved 4 September 2008. ^ Williams, Edward Ivor. "Reynolds, Jonathan Owain (Nathan Dyfed, 1814–1891), author". WBO. Retrieved 10 March 2009. ^ Price, David Trevor William. "Thomas, Evan Lorimer (1872–1953), priest and scholar". WBO. Retrieved 2 September 2008. ^ Pike, William Thomas; Jenkins, John Austin (1907). A Dictionary of Edwardian Biography: South Wales & Monmouthshire. P. Bell. p. 251. ISBN 0-946687-11-0. Retrieved 12 February 2009. ^ a b c d e f g h i j k l m n o p q r s t u v w x y Foster, 1715–1886, sub nom. ^ Tweedale, Geoffrey. "Dawkins, Sir William Boyd (1837–1929)". ODNB. Retrieved 18 July 2007. ^ a b c d e f g h i j k l m n o Members List, sub nom. ^ "Mr. P. W. Dodd". The Times. 25 May 1931. p. 12. ^ "Mr. T. I. Ellis". The Times. 22 April 1970. p. 12. ^ "Sir Emrys Evans". The Times. 22 February 1966. p. 12. ^ Gurney, O. R.; Freeman, P. W. M. "Garstang, John Burges Eustace (1876–1956)". ODNB. Retrieved 23 July 2007. ^ "University of Wales Lampeter – Professor H A Harris Papers". Archives Network Wales. Archived from the original on 12 February 2007. Retrieved 14 July 2007. ^ "University Examination Results 1925". The Review of English Studies. Oxford University Press. 1: 506–512. October 1925. JSTOR 508725. Accessed 16 July 2007. ^ "Colleges, Halls, and Societies: Obituaries – Jesus College". Oxford University Gazette. University of Oxford. 16 December 1999. Archived from the original on 8 June 2007. Retrieved 17 August 2007. ^ Birley, Anthony (23 July 1999). "Barri Jones". The Guardian. Retrieved 17 August 2007. ^ "Rev. Dr. G. H. Jones". The Times. 30 May 1944. p. 6. ^ "Prof Terence Mitford – Classical archaeologist and explorer". The Times. 25 November 1978. p. 14. ^ "Mr. P. A. Seymour". The Times. 9 December 1954. p. 10. ^ "Obituary: John Strugnell". The Daily Telegraph. 4 January 2008. Retrieved 1 February 2008. ^ Scargill, Ian. "Baker, John Norman Leonard (1893–1971)". ODNB. Retrieved 4 August 2007. ^ North, Frederick John. "Evans, John (1756–1846), surgeon". WBO. Retrieved 9 October 2008. ^ Aldrich, Richard (October 2002). The Institute of Education 1902–2002: A Centenary History. Institute of Education, University of London. p. 48. ISBN 0-85473-635-2. Retrieved 29 January 2008. ^ Walford, Rex (2001). Geography in British Schools, 1850–2000: Making a World of Difference. Routledge. p. 97. ISBN 0-7130-0207-7. Retrieved 29 January 2008. ^ "Obituary: John William House, 1919–1984". The Geographical Journal. Royal Geographical Society with the Institute of British Geographers. 151 (1): 147–148. March 1985. JSTOR 633322. ^ Clarke, Colin; 1998/1999. "Professor Robert W Steel CBE 1915–97". Jesus College Record: 17–20. ^ "University News". The Times. 26 June 1971. p. 12. ^ "Warren O. Ault 1907–1989: A Jesus College Cententarian". Jesus College Record. 1992/1993: 27. ^ Thompson, F. M. L. (5 December 2001). "Obituary: Theo Barker". The Guardian. Retrieved 30 March 2009. ^ "Deaths – 2002". Jesus College Record: 122. 2002. ^ "A few moments with: James Burke" (PDF). Jesus College Newsletter (1): 5–6. 2004. Archived from the original (PDF) on 14 August 2007. Retrieved 14 July 2007. ^ Courtney, W. P.; Harris, Jonathan. "Cooke, George (1814–1865), legal and historical writer". ODNB. Retrieved 17 September 2008. ^ "Old Members News and Notes". Jesus College Record. 1993/1994: 48. ^ Davies, Sir William Llewelyn; Jones, Evan David. "Ellis, Richard (1865–1928), librarian and bibliographer". WBO. Retrieved 31 October 2008. ^ Vian, Alsager; Rees, D. Ben. "Ellis, Thomas (1625–1673)". ODNB. Retrieved 26 April 2008. ^ "Curriculum Vitae". Richard J. Evans. Archived from the original on 28 September 2007. Retrieved 14 July 2007. ^ "Jesus College, To Honorary Fellowships". Oxford University Gazette. University of Oxford. 29 October 1998. Archived from the original on 28 October 2008. Retrieved 14 July 2007. ^ Pugh, Ronald (27 September 1995). "Obituary: Professor Albert Goodwin". The Independent. Retrieved 23 February 2012. ^ Mallett, Michael (19 August 1999). "Obituaries: Professor Sir John Hale". The Independent. Retrieved 23 February 2012. ^ Fritze, Ronald H. "Herbert, Sir Thomas, first baronet (1606–1682)". ODNB. Retrieved 17 November 2008. ^ Henry Jones, Marian. "Hughes, Edward Ernest (1877–1953), first Professor of history at the University College, Swansea, and a notable intermediary between the university and the public". WBO. Retrieved 22 January 2009. ^ "Deaths". Jesus College Record: 153. 2007. ^ White, John (15 May 2007). "Maldwyn Allen Jones – Persuasive historian of America". The Independent. Retrieved 22 April 2008. ^ "Obituary: Professor J. D. Mackie Distinguished Scottish historian". The Times. 3 October 1978. p. 16. ^ "John Mason, academic and librarian". The Times. 10 November 2009. Retrieved 10 November 2009. ^ "Dr J. R. Morris: Studies in ancient history". The Times. 10 June 1977. p. 18. ^ "Dr Glen O'Hara". Oxford Brookes University. Archived from the original on 26 October 2006. Retrieved 16 September 2007. ^ Collinson, Patrick. "Pollard, Albert Frederick (1869–1948)". ODNB. Retrieved 15 July 2007. ^ "New Honorary Fellow of Jesus College". The Times. 19 July 1930. p. 14. ^ Jones, Selwyn. "Rees, Rice (1804–1839), cleric and scholar". WBO. Retrieved 26 April 2008. ^ Griffiths, R. A. "Rice family (per. c.1500–1651)". ODNB. Retrieved 8 April 2009. ^ De, Barun (February 1983). "Susobhan Sarkar (1900–1982): A Personal Memoir". Social Scientist. Social Scientist. 11 (2): 3–15. JSTOR 3517030. ^ James, Mary Auronwy. "Wade-Evans, Arthur Wade (Arthur Wade Evans) (1875–1964), clergyman and historian". WBO. Retrieved 16 July 2008. ^ Jenkins, Robert Thomas. "Wynne, William (1671?–1704), historian". WBO. Retrieved 6 May 2008. ^ "Professor Fred Bachrach". The Daily Telegraph. 23 February 2010. Retrieved 5 September 2012. ^ "In Memoriam". Jesus College Record: 126. 2010. ^ "Professor William Brice, ethnographer and linguist". The Times. 20 September 2007. Retrieved 17 September 2008. ^ Brice, Elizabeth (2007). "William Charles Brice, 1921–2007". Jesus College Record: 119–120. ^ "Prof. Angus Cameron". The Times. 11 June 1983. p. 10. ^ "Prof. J. P. Collas". The Times. 7 September 1984. p. 14. ^ "John Fleming, Professor Emeritus". Princeton University. Retrieved 5 February 2009. ^ Goatly, Andrew (2005). "After reading English..." (PDF). Jesus College Newsletter (4): 11. Archived from the original (pdf) on 14 August 2007. ^ "Publications". Jesus College Record. 1998/1999: 90. ^ "Dr. Reuben Levy – Oriental Scholar". The Times. 8 September 1966. p. 14. ^ "Poet and Welsh works translator Meirion Pennar dies". BBC News. 17 December 2010. Retrieved 5 September 2012. ^ Turner, Michael L. "Pollard, (Henry) Graham (1903–1976)". ODNB. Retrieved 19 February 2009. ^ Fargher, Richard (October 1978). "Obituary: Dr R. A. Sayce: 11.1.1917–11.8.1977". Modern Language Review. Modern Humanities Research Association. 73 (4): xxxv–xxxvi. JSTOR 3727664. ^ James, Mary Auronwy. "Thomas, William Davies (1889–1954), Professor of English". WBO. Retrieved 9 October 2008. ^ "Mr L. B. Walton". The Times. 12 September 1960. p. 14. ^ "Appointments 1992". Jesus College Record. 1993/1994: 54. ^ "Department of Theology and Religious Studies Staff – Professor Paul Badham". University of Wales Lampeter. Archived from the original on 5 July 2007. Retrieved 22 July 2007. ^ Jones, Robert Tudur. "Daniel, John Edward (1902–1962), college lecturer and inspector of schools". WBO. Retrieved 4 June 2008. ^ Lopez, jr, Donald S. (2000). Foreword to Evan-Wentz's "Tibet's Great Yogi Milarepa: A Biography from the Tibetan". Oxford University Press. ISBN 0-19-513313-7. Retrieved 16 March 2008. ^ Prebish, Charles S (February 2000). "Evans-Wentz, Walter Yeeling". American National Biography (online edition). Retrieved 16 March 2008. ^ Caird, G. B.; Law, Gerald. "Hooke, Samuel Henry (1874–1968)". ODNB. Retrieved 22 July 2007. ^ Rees, David; 1992/1993. "Old Members News and Notes". Jesus College Record: 46. ^ Helm, Paul. "Lewis, Hywel David (1910–1992)". ODNB. Retrieved 5 October 2008. ^ Williams, John Tudno. "Owen, Huw Parri (1926–1996), philosopher and theologian". WBO. Retrieved 18 December 2014. ^ "Deaths". Jesus College Record. 1996/1997: 96. ^ Thomas, D. L.; rev. Murphy; G. Martin. "Owen, Robert (1820–1902)". ODNB. Retrieved 9 May 2008. ^ "Philip P. Hallie, 72, Professor and Writer". New York Times. 10 August 1994. p. B8. Retrieved 18 March 2009. ^ "Rev. C. F. Rogers". The Times. 24 June 1949. p. 7. ^ "Borwein's CV". Dalhousie University. Archived from the original on 17 July 2009. Retrieved 23 July 2007. ^ "David E. Evans". University of Cardiff. Retrieved 6 February 2009. ^ Carpenter, G. D. H. "Poulton, Sir Edward Bagnall (1856–1943)". ODNB. Retrieved 18 July 2007. ^ Rogers Brambell, F. W.; Quirke, V. M. "Gatenby, James Brontë (1892–1960)". ODNB. Retrieved 8 July 2008. ^ Habakkuk, Sir John; 1995/1996. "Arthur Edwin Stevens CBE (1927) 1905–1995". Jesus College Record: 21–24. ^ Allen, Brigid (1998). "The Early History of Jesus College, Oxford 1571–1603" (PDF). Oxoniensia. LXIII: 117. Retrieved 16 August 2010. ^ "The Clearihue Bursary". University of Victoria. Archived from the original on 20 December 2016. Retrieved 8 December 2016. ^ Stephens, Meic (20 January 2003). "Obituary: Sir Goronwy Daniel". The Independent. Retrieved 18 December 2014. ^ Considine, John. "Gentilis, Robert (b. 1590, d. in or after 1655)". ODNB. Retrieved 5 March 2009. ^ North, Sir Peter (2004). "And Finally...". Jesus College Record: 13. ^ a b c Baker, J. N. L. (1954). "Jesus College". A History of the County of Oxford: Volume 3: The University of Oxford. Institute of Historical Research, University of London. pp. 264–279. Retrieved 23 October 2008. ^ "Canon F. B. Heiser". The Times. 17 December 1952. p. 8. ^ "Mr. W. J. Hinton". The Times. 23 June 1949. p. 7. ^ Davies, Emlyn. "Howells, George (1871–1955), principal of Serampore College, India". WBO. Retrieved 21 January 2009. ^ "About G. I. Jones". Southern Illinois University Carbondale. Archived from the original on 29 January 2009. Retrieved 22 October 2008. ^ Sutton, C. W.; Crosby, Alan G. "Jones, Thomas (1810–1875)". ODNB. Retrieved 27 January 2009. ^ "Curriculum Vitae: Deepak Kumar Lal" (PDF). UCLA. 2004. Retrieved 28 October 2009. ^ "Mr Harold Loukes". The Times. 3 September 1980. p. 18. ^ Pollard, Albert; Curthoys, J. H. "Mansell, Francis (1579–1665)". ODNB. Retrieved 14 August 2007. ^ Jenkins, Robert Thomas. "Morris, Rupert Hugh (1843–1918), cleric and antiquary". WBO. Retrieved 16 October 2008. ^ Jenkins, Robert Thomas. "Owen, Humphrey (1702–1768), principal of Jesus College, Oxford, and Bodley's librarian". WBO. Retrieved 15 August 2007. ^ Jenkins, Robert Thomas. "Parry, David (1682?–1714), scholar". WBO. Retrieved 26 January 2009. ^ Vaisey, David. "Price, John (1735–1813)". ODNB. Retrieved 11 March 2009. ^ "An interview with Bob Rowthorn". University of Cambridge. 22 October 2008. Retrieved 5 February 2010. ^ "Biography". Robert Skidelsky. Archived from the original on 9 October 2008. Retrieved 14 July 2007. ^ "Sir Ben Bowen Thomas – A force in Welsh education". The Times. 29 July 1977. p. 16. ^ "Old Members' News". Jesus College Record: 100. 2006. ^ "Mr. W. C. Wordsworth". The Times. 14 December 1950. p. 8. ^ Jenkins, Robert Thomas. "Barnwell, Edward Lowry (1813–1887), antiquary and schoolmaster". WBO. Retrieved 15 April 2008. ^ Hessayon, Ariel. "Brice, Edmund (fl. 1648–1696)". ODNB. Retrieved 13 April 2008. ^ "University and clerical intelligence – Oxford, June 19". The Times. 22 June 1850. p. 6. ^ "University intelligence". The Times. 1 November 1877. p. 7. ^ Brumfit, Christopher. "Haycraft, John Stacpoole (1926–1996)". ODNB. Retrieved 9 April 2008. ^ "Dr R. L. James". The Times. 20 May 1982. p. 16. ^ Jones, Edgar William. "Owen, Owen (1850–1920), first chief inspector of the Central Welsh Board for Intermediate Education in Wales". WBO. Retrieved 27 May 2008. ^ Evans, William Gareth. "Phillips, Morgan Hector (1885–1953), headmaster". WBO. Retrieved 25 January 2009. ^ Malone, Edward A. "Price, Owen (died 1671)". ODNB. Retrieved 17 March 2009. ^ "University intelligence – Oct. 1: Election of a Principal of Jesus College, Oxford". The Times. 2 October 1857. p. 6. ^ Roberts, Gomer Morgan. "Williams, Robert Dewi (1870–1955), minister (Presb. ), headmaster of Clynnog School and writer". WBO. Retrieved 3 November 2008. ^ "Old Members' News". Jesus College Record: 111. 2007. ^ Cooper, Thompson. "Blackwell, John (1797–1840)". ODNB. Retrieved 18 July 2007. ^ "William Boyd". Jesus College, Oxford. Archived from the original on 20 September 2007. Retrieved 14 July 2007. ^ a b "A few moments with: William Boyd" (PDF). Jesus College Newsletter (3): 6–7. 2005. Archived from the original (PDF) on 26 March 2009. Retrieved 17 July 2007. ^ "Alan Brien". The Times. 26 May 2008. Retrieved 27 May 2008. ^ "In Memory". Jesus College Record: 127. 2008. ^ Lord, E. "Davies, John (1625–1693)". ODNB. Retrieved 1 November 2008. ^ Jones, William R. "Davis, James (1706/7–1755)". ODNB. Retrieved 24 April 2008. ^ Jones, David Gwenallt. "Evans, Daniel (Daniel Ddu o Geredigion; 1792–1846)". WBO. Retrieved 5 September 2008. ^ North, Frederick John. "Evans, John (1768–c. 1812), topographical writer". WBO. Retrieved 2 March 2009. ^ Rigg, J. M.; Trombley, Sarah E. "Floyd, Thomas (fl. 1589–1603)". ODNB. Retrieved 17 March 2008. ^ "BBC Wales Music briefing". BBC. Retrieved 14 August 2007. ^ "Jesus College Prizes and Awards". Jesus College Record: 23. 2002. ^ Schachter, Albert (2006). "Old Members' News". Jesus College Record: 101. ^ Woolf, D. R. "Howell, James (1594?–1666)". ODNB. Retrieved 17 July 2007. ^ "Mr. P. M. Hubbard". The Times. 19 March 1980. p. 16. ^ Hughes, Robert William. "Hughes, Edward ('Y Dryw'; 1772–1850), eisteddfodic poet". WBO. Retrieved 22 September 2008. ^ Rowlands, John. "Hughes, Thomas Rowland (1903–1949)". ODNB. Retrieved 13 April 2008. ^ Jenkins, Robert Thomas. "Jenkins, John (Gwili) (1872–1936), poet, theologian, and man of letters". WBO. Retrieved 19 July 2007. ^ Smith, J. B. "Jenkins, John Gwili (1872–1936)". ODNB. Retrieved 19 July 2007. ^ John, Brian (2007). "A funny thing happened" (PDF). Jesus College Newsletter (7): 10. Archived from the original (PDF) on 19 March 2009. Retrieved 15 July 2007. ^ Ellis, Megan. "Jones, Thomas (1742–1803), landscape painter". WBO. Retrieved 17 July 2007. ^ "College Prizes and Awards". Jesus College Record. 1995/1996: 15. ^ "Tobias Jones". Capel & Land. 2006. Archived from the original on 13 June 2010. Retrieved 11 November 2008. ^ Burns, F. D. A. "Lewis, David (1682–1760)". ODNB. Retrieved 22 October 2008. ^ Sambrook, James. "Lloyd, Evan (1734–1776)". ODNB. Retrieved 16 March 2009. ^ "National Library of Wales – Mathias, Roland, papers". Archives Network Wales. Archived from the original on 5 June 2011. Retrieved 23 July 2007. ^ "Roland Mathias: Life and Work". Transcript. University of Wales, Aberystwyth (14/15). Archived from the original on 16 November 2008. Retrieved 22 October 2008. ^ Stephens, Meic. "Morris, Sir Lewis (1833–1907)". ODNB. Retrieved 23 July 2007. ^ McLuckie, Craig; Tyner, Ross (9 May 2003). "Arthur Kenneth Nortje". The Literary Encyclopedia. The Literary Dictionary Company. Retrieved 14 May 2008. ^ "Background: The Nortje Collection". University of South Africa (Department of Corporate Communication and Marketing). 22 March 2006. Retrieved 14 May 2008. ^ Jones, David Gwenallt. "Goronwy Owen". WBO. Archived from the original on 21 February 2012. Retrieved 3 June 2008. ^ "In Print". Jesus College Newsletter (9): 19. 2008. ^ Cowie, Leonard W. "Pierce, Edward (1630/31–1694)". ODNB. Retrieved 19 March 2009. ^ Schachter, Albert (2003). "Old Members' News". Jesus College Record: 94. ^ "New staff for Bangor's School of Welsh". Bangor University. Retrieved 24 March 2009. ^ Lloyd, Nesta. "Prichard, Rhys (Rice) (c.1573x9–1644/5)". ODNB. Retrieved 2 February 2008. ^ Jones, David Gwenallt. "Richards, David (Dafydd Ionawr; 1751–1827), schoolmaster and poet". WBO. Retrieved 2 April 2008. ^ "A few moments with Francesca Simon". Jesus College Newsletter (12): 16–17. 2009. ^ Jones, John James. "Thomas, Nathaniel (b.1730), editor". WBO. Retrieved 2 March 2009. ^ "LC Tyler". Luton Arts Festival. 13 May 2009. Retrieved 16 September 2009. ^ a b Allen, Brigid; 1997/1998. "Henry Vaughan at Oxford". Jesus College Record: 23–27. ^ Davies, Ceri. "Vaughan, Sir William (c.1575–1641)". ODNB. Retrieved 14 July 2007. ^ Crowe, Richard. "Walters, John (bap. 1721, d. 1797)". ODNB. Retrieved 12 February 2009. ^ Ellis, Thomas Iorwerth. "Williams, Morris (Nicander; 1809–1874), cleric and man of letters". WBO. Retrieved 25 July 2007. ^ Bowen, David James. "Williams, Nathaniel (1656/7–1679), author". WBO. Retrieved 2 March 2009. ^ Thomas, Gwyn. "Wynne, Ellis (1671–1734)". ODNB. Retrieved 15 July 2007. ^ "Mr. Elwyn Brook-Jones". The Times. 5 September 1962. p. 14. ^ "Appointments". Jesus College Record: 112. 2002. ^ Childseye TV. "Biography". Archived from the original on 25 October 2009. Retrieved 10 May 2009. ^ Wells, John. "Cleverdon, (Thomas) Douglas James (1903–1987)". ODNB. Retrieved 30 April 2008. ^ Henderson, Lesley; Watson, Noelle (1991). Contemporary novelists. St. James Press. p. 324. ISBN 1-55862-036-2. ^ Follows, Stephen. "Gillies, Ian Malcolm (1927–2002)". ODNB. Retrieved 18 July 2007. ^ "A postcard from: Argentina". Jesus College Newsletter (9): 3. 2008. ^ "Tributes to Magnus Magnusson, KBE, 1929–2007". BBC Press Office. 8 January 2007. Retrieved 14 July 2007. ^ "Sir Magnus Magnusson". Jesus College, Oxford. 7 January 2007. Archived from the original on 23 September 2007. Retrieved 14 July 2007. ^ a b "Appointments". Jesus College Record: 102. 2005. ^ Noels, Edmond; (Week 2, Michaelmas Term 2004). "You're having a laugh". The Oxford Student. Archived from the original on 18 September 2007. Retrieved 14 July 2007. ^ "BBC Weather Biographies: Kirsty McCabe". BBC. Retrieved 14 July 2007. ^ "A few moments with: André Ptaszynski" (PDF). Jesus College Newsletter (7): 8–9. 2007. Archived from the original (PDF) on 19 March 2009. Retrieved 2 February 2008. ^ "Francine Stock". Jesus College, Oxford. Archived from the original on 23 September 2007. Retrieved 14 July 2007. ^ "Actor Terriss Murdered" (PDF). The New York Times. 17 December 1897. p. 1. Retrieved 14 October 2008. ^ "New Year Honours 2007". Jesus College, Oxford. 16 January 2007. Archived from the original on 5 October 2009. Retrieved 23 July 2007. ^ "Thomas Perceval Fielden". The Times. 17 September 1974. p. 17. ^ Griffith, Robert David. "Davies, David Thomas Frangcon (1855–1918), singer". WBO. Retrieved 11 March 2008. ^ Gregory, Andy (2002). International Who’s Who in Popular Music. Routledge. p. 264. ISBN 1-85743-161-8. Retrieved 14 July 2007. ^ Nicholas, Michael (2004). "I read Music at Jesus College" (PDF). Jesus College Newsletter (2): 10. Archived from the original (pdf) on 14 August 2007. Retrieved 14 April 2009. ^ Thwaites, Penelope (25 April 2002). "William Reed – Versatile composer of quintessentially English music". The Guardian. Retrieved 19 February 2009. ^ "Alan Rowlands". The Times. 17 February 2012. Retrieved 7 January 2015. ^ "Obituary: Denis Stevens". The Guardian. 14 April 2002. Retrieved 7 January 2015. ^ Sartorius, Michael. "Professor Denis Stevens". BaroqueMusic.org. Retrieved 7 January 2015. ^ "Young Steinway Artists". Steinway. Retrieved 11 July 2013. ^ Holmes, Martin (26 January 2008). "Tony Ambrose: Champion rally co-driver". The Independent. Retrieved 12 April 2008. ^ Ambrose, Tony (2007). "Ever the Bridesmaid...". Jesus College Record: 71–77. ^ Roderick, Kenneth (2008). "Rugby Memories". Jesus College Record: 33–34. ^ a b c d e f g h i Jenkinson, Leonard; 1994/1995. "Jesus College's Rugby Internationals". Jesus College Record: 62–63. ^ "Sir David Evans". The Times. 18 March 1926. p. 21. ^ Frost, David (15 January 2004). "Vivian Jenkins: Welsh rugby player who become a successful sports journalist". The Guardian. Retrieved 17 August 2007. ^ "Old Members' Obituaries". Jesus College Record: 80. 2000. ^ a b Jenkinson, Leonard; 1993/1994. "Jesus College Cricket Blues". Jesus College Record: 68–69. ^ Villiers, Charles; (Hilary Term 2006). "To France by mouth". Oxford Today. University of Oxford. Archived from the original on 23 August 2007. Retrieved 1 January 2008. ^ Lister, Hilary (2005). "Across the Channel" (PDF). Jesus College Newsletter (3): 7. Archived from the original (PDF) on 26 March 2009. Retrieved 1 January 2008. ^ Williams, Moelwyn Idwal. "Rees, John Conway (1870 – 1932), Rugby footballer". WBO. Retrieved 13 May 2008. ^ "A Week in the Life of a Law Student". Jesus College, Oxford. 24 June 2006. Archived from the original on 26 September 2006. Retrieved 22 July 2007. ^ Williams, Barney (2006). "Head of the River" (PDF). Jesus College Newsletter (5): 9. Archived from the original (PDF) on 1 July 2007. Retrieved 22 July 2007. ^ "Old Members' Obituaries". Jesus College Record: 77. 2000. ^ Tweedie, Neil (19 June 2001). "Dying Aspinall 'wanted one of his zoo tigers to kill him'". The Daily Telegraph. Retrieved 15 July 2007. ^ "Geraint Talfan Davies – Member of the Radio Authority". Ofcom. 7 July 2003. Retrieved 3 February 2008. ^ "Courvoisier The Future 500". Jesus College, Oxford. 10 December 2009. Archived from the original on 23 November 2012. Retrieved 5 September 2012. ^ "About our participants". British Council. Archived from the original on 16 April 2010. Retrieved 5 September 2012. ^ De'Ath, John; 1997/1998. "Old Members' News and Notes". Jesus College Record: 54. ^ "Deaths". Jesus College Record: 125. 2003. ^ Cowe, Roger (5 March 2003). "Sir Bernard Miller: Company chairman who developed John Lewis as a unique worker-partnership". The Guardian. Retrieved 2 October 2008. ^ Carter, Philip. "Nash, Richard (1674–1761)". ODNB. Retrieved 14 July 2007. ^ "Old Members' News". Jesus College Record: 108. 2007. ^ "Media Square plc: The Board". Media Square plc. Archived from the original on 7 April 2006. Retrieved 31 January 2008. ^ "Death of Sir Owen Roberts, a Pioneer of Technical Education". The Times. 8 January 1915. p. 6. ^ Strachan, Crispian (2008). "After reading law...". Jesus College Newsletter (10): 13. ^ Jenkins, Robert Thomas. "Wynne, John (1650–1714), industrial pioneer". WBO. Retrieved 8 April 2009. ^ a b c Jenkinson, Leonard; 1995/1996. "Jesus College and Crime Fiction". Jesus College Record: 66–67. ^ Boyd, William (2006). Restless. Bloomsbury. ISBN 978-0-7475-8620-3. ^ Cameron, Peter (2 March 2003). "Any Human Heart by William Boyd". The Washington Post. p. BW03. Archived from the original on 17 September 2012. Retrieved 16 July 2007.